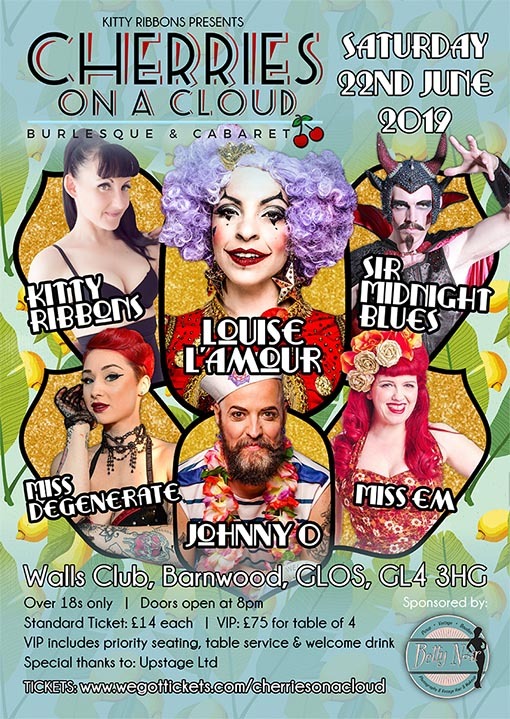 Help us take Cherries On A Cloud to a whole new level at our new venue: The Walls Club! As you may know, due to circumstances beyond our control we’ve had to say goodbye to our beloved venue of 8 years, but we’re taking this opportunity to make Cherries On A Cloud bigger and better than ever before. We can’t wait to show you what we have planned for 2019!!! Click on the poster below to buy your tickets!